I’m fighting a pesky cold at the moment…left work early today and feeling doubtful I’ll make it into the office tomorrow. It’s nothing if not really annoying! But, always looking for the silver lining, I can still manage a flick of the wrist and a twist of the yarn ’round my crochet hook! And this little lap blanket is just the ticket to cheer me up. 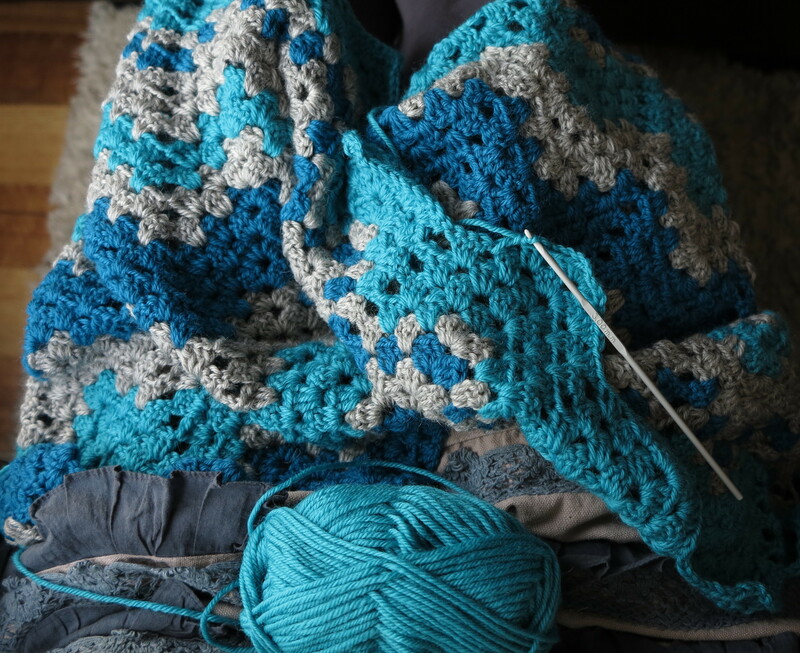 It’s the early stages of creation for my Winter Cheer Blanket. I’m loving the colour combination. It’s cool and wintery but not to drab and depressing. And it’s vibrant and colourful, but the brightness is muted somewhat with the grey. It’s also a comforting familiar pattern – the granny ripple stitch. Very different to the delicate little number I did previously with this pattern. My Winter Cheer is also keeping my legs warm so is therefore helping me get better. That’s my logic and I’m sticking to it! Hope you find some winter (or insert your season here) ………… Cheer in your day. This entry was posted in crochet, Uncategorized and tagged blanket, crochet, granny stitch, ripple blanket. Bookmark the permalink.